With normal shortcrust pastry you rub the fat into flour but with the rough puff you just need to cut the butter up into small pieces and mix, with a knife, into the flour and salt. Mix to a stiff dough with the cold water. Roll out on a floured surface into a narrow strip. Fold the pastry into three, turn a quarter turn so one of the open ends is towards you and roll out again. Do this three times and then leave to rest for 15 mins. Grease some patty tins, I use a tray that holds 12 pies. Roll out the pastry quite thinly and cut out 12 large rounds and 12 smaller ones. 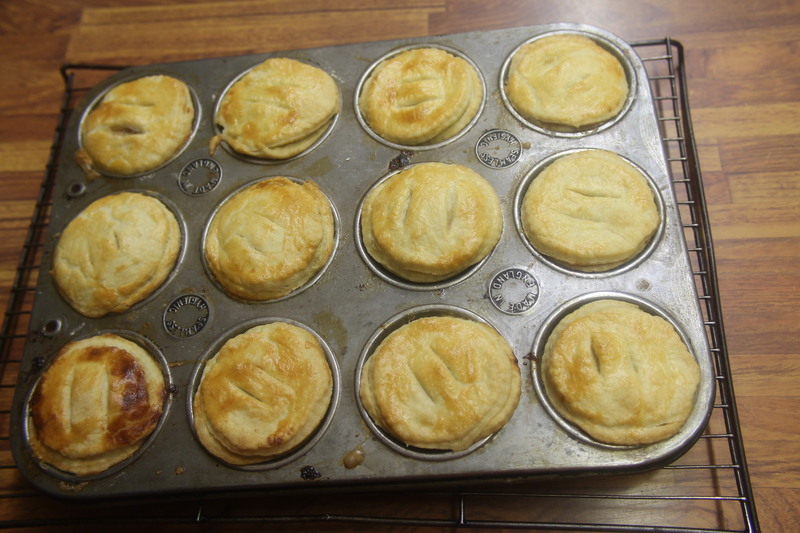 (Re-rolling the trimmings) Line each patty section with a large round of pastry and place a teaspoon of mincemeat into each then brush the edges with beaten egg and place the small round of pastry on top. Cut a slit or two in the top and brush the top with the beaten egg. Bake for 15 mins. Cool on a wire rack and then dust with icing sugar. Serve hot or cold with or without brandy butter. However you serve them, enjoy them. 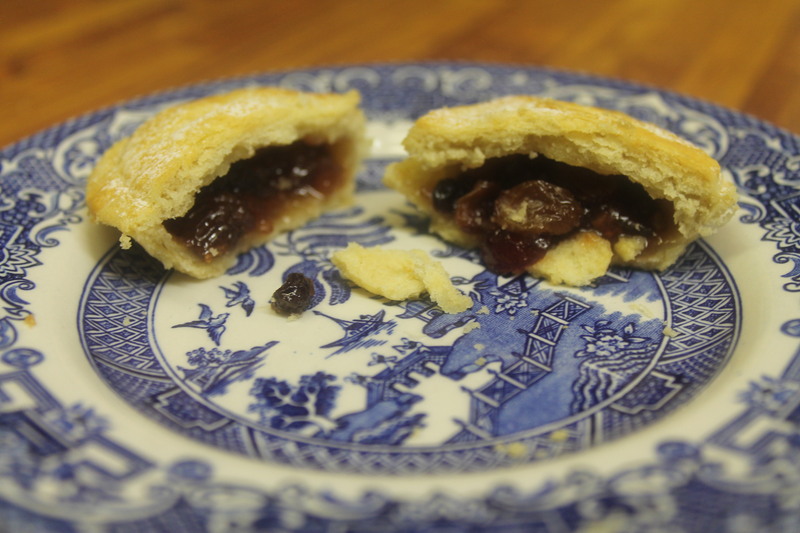 where can i find baked mincemeat cookies? I am not sure. 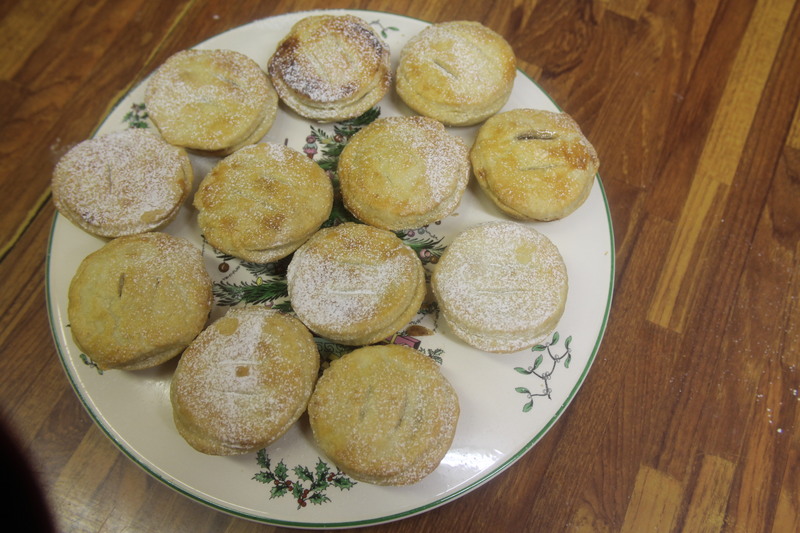 We sell the mincemeat pies seasonally. Let’s see if our readers can help answer your question. one of my favorite things for the holidays to bake….